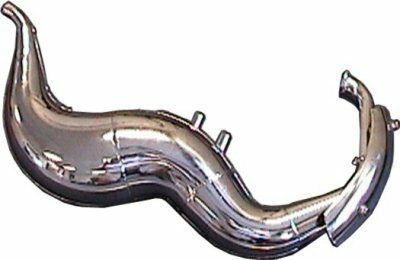 High performance exhaust or expansion pipe for 2.2h.p. Eton engine powered scooters. Adds power and up to 4mph if used with with h.p. Carburator. Carb adds 5mph for a total of 9mph between both! Now with stainless steel mount reinforcement bracket!